The Newfound Bay Plush is an innerspring mattress in the SmartSurface Elite Collection of the Perfect Sleeper brand by Serta. From the descriptions and the specifications, it is very much like another model in this series, the Newfound Bay Super Pillow Top. The only inside difference I have found is the coil gauges listed by a retailer: 14¼ for the Super Pillow Top (SPT), and 14¾ for the Plush. This accounts for the difference in comfort levels, with the SPT firmer. Also, the cover of the SPT has a pillowtop design. Like all mattresses in this collection, the Newfound Bay Plush has a quilted cover featuring SmartSurface design plus latex infused with MicroSupport Gel. The cover fabric is made of polyester, rayon and lycra. It is quilted with FireBlocker® Fiber, Body Loft® anti-microbial fiber, latex infused with MicroSupport® Gel, and ½" of Serta® PillowSoft™ foam. The Body Loft quilting fiber supplies support with some give while wicking moisture away. Latex is highly resilient, and the Microsupport gel is to enhance this. This gel is distributed in a zoned pattern for additional support under heavier body parts. The PillowSoft is to make the quilt itself plush. The heart of the SmartSurface Newfound Bay Plush is the 814 count Free Flex® continuous coil innerspring unit. This is a further development from the Continuous Support innerspring used in the Essentials Collection. Pairs of coils act more independently in Free Flex than in the Continuous Support. This innerspring also has Custom Support Design with additional support in the middle third of the unit. The Free Flex is paired with the Total® Edge foam encasement. 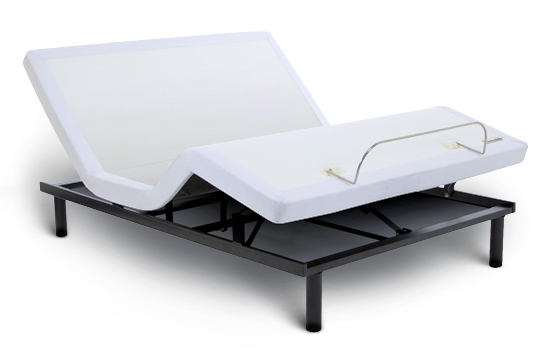 Together with the innerspring's 6-gauge perimeter rod, this foam encasement supports the sleeping surface to eliminate rolling off and to make the whole surface usable, even for sitting on the edge. The comfort section of the Newfound Bay Plush has three foams. The top layer is of Serta's Comfort XD™ Foam, described as "soft yet supportive." At 2¾" it is extra deep, designed to counter pressure build-up. The middle layer is Cool Twist™, memory foam infused with liquid gel. The liquid gel has certain support properties. The bottom foam is an inch of Serta Support Foam. Under these foams is an Insulator Pad to keep the foam from jamming the coils and the coils from tearing the foam. 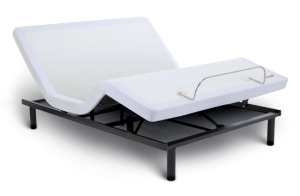 The foundation that Serta suggests for the Newfound Bay Plush is an adjustable bed, the Motion Essentials Adjustable Base made by Ergomotion. Serta also makes an advanced-design platform foundation (called a "box spring" by several retailers) compatible with models in this collection, the StabL-Base. The Newfound Bay Plush is carried by many retailers. Some of them, especially those with online sales, have alternate names for this model. It is covered with a 20-year limited warranty. Serta also has the Comfort Assurance Program, a 45-day trial period for the customers to see if that model has the right comfort level for them, because "comfort is personal."